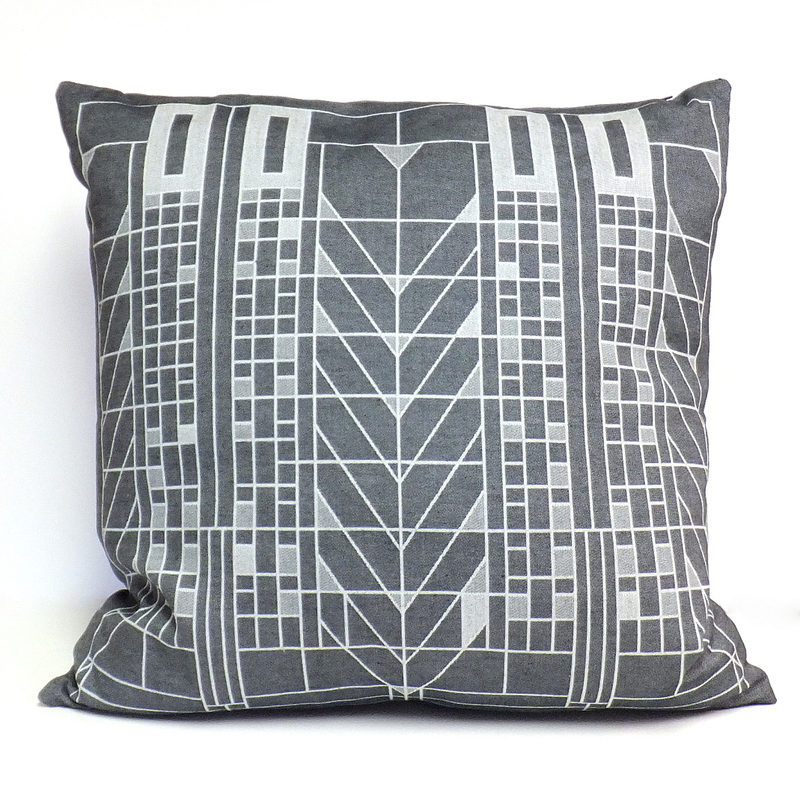 This modern pillow, inspired by the work of Frank Lloyd Wright, marries form and function with a beautiful printed pattern that elevates home comfort with a modern elegance. ‘Tree of Life’ originates from an art glass window design at the Darwin D. Martin House, built in 1903. 100% cotton jacquard fabric with zipper closure. 100% feather insert included. Wash on cold with like colors. Dry promptly.